Hi, I'm Nuvea - the owner and founder of Casa Nuvea Holistic Beauty & Wellness. 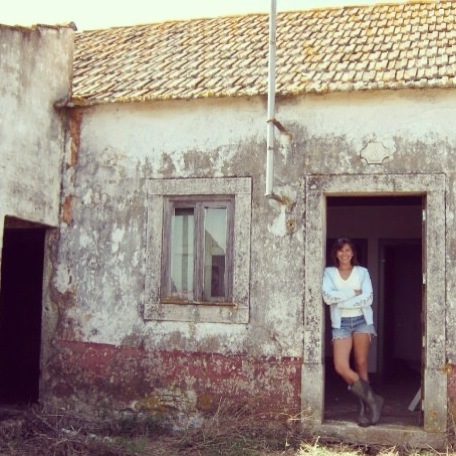 A background in education and the arts, a lifelong interest in cultural heritage, and a love of nature led me to purchase and restore a small homestead in rural Portugal and eventually start a tiny company inspired by a more holistic lifestyle. Living in California has enabled me to explore an incredible range of landscape and I've been lucky to have had the opportunity to learn about the surrounding native plants and their uses from many skilled teachers. I'm fascinated by the blending of this "new" world with the old, from mixing ancient olive oil recipes from the Iberian peninsula and beyond, to creating soothing botanical skin care products made from local, native plant essences and oils. I'm a lifelong learner and in oder to provide the best quality products and services, I continue to pursue both formal training and self-directed study in several areas related to my business. This includes the sensory evaluation of olive oil, along with plant-based nutrition, health and fitness, mindfulness, and alternative healing arts including herbalism, aromatherapy, yoga, animal reiki, flower essence therapy, positive psychology and equine assisted learning. I recently completed training as an Aesthetician and became a certified Health Coach through the American Council on Exercise (ACE).